Help us protect women & children from the violence of abortion. Abort73.com is part of Loxafamosity Ministries, a 501(c)3 nonprofit. The free abortion education we offer is entirely funded by private donations. We are grateful for every dollar that comes in, but we are especially grateful for our monthly donors. Recurring donations help sustain our ongoing efforts in ways that one-time gifts cannot, freeing us to focus more attention on research and writing than on fundraising. Please choose the giving option below that works best for you. Most online banks offer free bill-pay services which can be used to make one-time or recurring donations to Abort73. Simply log in into your online bank account and navigate to the "Bill Pay" section. Look for "Add a Company" or "Add Payee." You'll need to manually enter our name, address, and phone number, which are listed below. You may also be asked to enter an account number. If so, enter any number you'd like; we don't use them. Once Abort73 is added as a payee, initiate a one-time payment or schedule automatic monthly donations. Your bank will then mail us a check as scheduled, without charging you for postage, and without charging us a processing fee. We use Zoho Checkout to handle our online credit card donations. Just be aware that approximately 3% of every credit card donation is lost to processing fees. If you’re able, please consider a “no fee” option as an alternative to giving by credit card. Otherwise, click the appropriate button below to open a new browser window where you will complete the donation process. 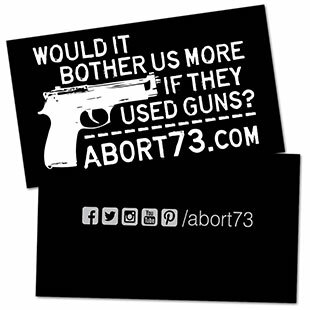 To cancel a recurring credit card donation, send a request to donations@abort73.com. PayPal users can donate to Abort73 from their PayPal balance, their linked bank account, or by credit card—without having to enter their billing address or payment details (since PayPal already has it). PayPal keeps 2.2% (+30¢) of each donation, no matter what the funding source. To donate with Zelle, direct payment to the email address or phone number listed below. You can use the name "Loxafamosity Ministries." Zelle transfers money directly and immediately from your bank account to ours and does not charge a processing fee. Some banks allow you to set up automatic monthly payments with Zelle; others do not. 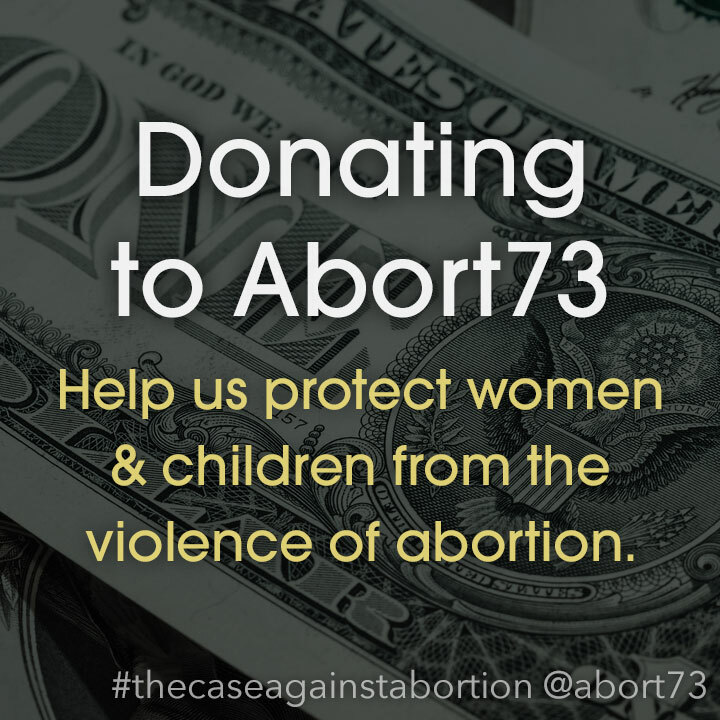 PayPal users can also donate to Abort73 through the PayPal Giving Fund. The advantage to us is that we get to keep 100% of the donation. PayPal waves their normal fees. The disadvantage is that we don’t receive the funds immediately. It can take up to 45 days for payment to be processed and distributed. There is also no option to set up automatic monthly donations. Bitcoin is a form of electronic cash—also known as cryptocurrency. It is a decentralized digital currency without a central bank or single administrator. You make a donation of Bitcoin or Bitcoin Cash with the button below. To donate by check, mail payment to the address listed below. Mailing a check allows us to keep 100% of your donation, though it will cost you postage. As an alternative to manually mailing a check, consider taking advantage of your bank's bill-pay services. 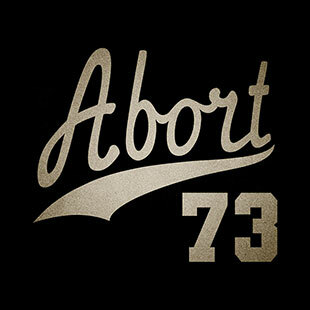 Abort73 is part of the Amazon Associates program. 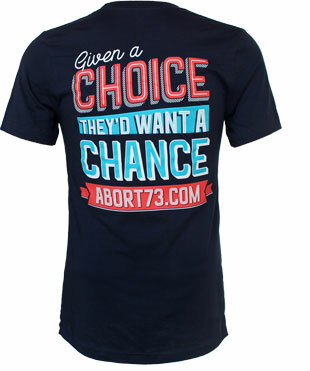 If you use the Abort73 associate link, 4-8% of your entire purchase will be given to Abort73. Simply bookmark the Abort73 associate link and use it every time you make a purchase on Amazon. Alternatively, you can designate Loxafamosity Ministries as the charity of your choice at Amazon Smile, and Abort73 will receive .5% of your purchase total. Designate Abort73 as the eBay "Giving Works" charity of your choice and you can donate 10%-100% of the proceeds for anything you sell on Ebay. Giving Assistant offers cash back discounts to leading online retailers, and they will match whatever cash back you donate to Abort73. ChameleonJohn offers coupons for thousands of online retailers. Every time you use one, we get approximately 4% of your total spend. Or register at iGive.com and earn money for Abort73 whenever you make an online purchase at one of over 700 participating retailers. This page was last updated on March 19, 2019. To cite this page in a research paper, visit: "Citing Abort73 as a Source." About Us: The vision, history and beliefs of Loxafamosity Ministries. Marketing Past the Stereotypes: Change is possible, but it takes creativity to get past the baggage. Giving, Sales & Spending: An overview of donations, spending and influence.